The mission statement of the Mississippi Wildlife Heritage Foundation, the nonprofit organization that is organizing the museum is: To preserve the history, heritage, and traditions of hunting, fishing, and the great outdoors in Mississippi. To honor the people that have been a part of it, and to educate the public on the vast natural resources of the great state of Mississippi. The museum will chronicle the evolution of hunting and fishing in our state as well as the outdoor photographers and artists that have portrayed it. The museum will contain over 3000 vintage photos, firearms, fishing rods, and pieces of outdoor equipment. A special section in the museum will feature our state’s duck and turkey call makers. Preston Pittman, one of the 2014 Hall of Fame inductees had this to say about being selected, “This is the most prestigious honor that could be bestowed on me by my home state. I am honored to be selected. I love Mississippi and its people and am proud to be part of its outdoor industry. I congratulate my fellow inductees and on behalf of myself and family thank you very much. I am very excited about this museum and will do my part to make it something all Mississippians can be proud of”. 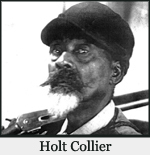 Holt Collier is one of the most famous hunters in the history of our country. He was a master horseman and hunting dog trainer as well. Mr. Collier gained national attention after guiding President Theodore Roosevelt on a successful black bear hunt. In his long hunting career, he and the hunters he guided took over 3000 bears. He had eight articles written about him in national publications, one written by President Roosevelt himself. Mr. Collier also has a National Wildlife Refuge named in his honor. 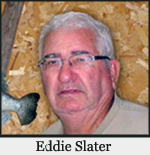 Eddie Slater is a household name in the fishing world. A noted crappie fishing expert, Mr.Slater has given crappie fishing seminars at outdoor shows and fishing events all over the country. He has also been a winner of the state crappie fishing championship with his fellow Mississippi Outdoor Hall of Fame inductee, Billy Joe Cross. He has been designing fishing lures and products for over 50 years. His popular Slater’s fishing jigs are sold all over the world. Through his fishing career, he has always been known for encouraging fellow fishermen to teach kids to fish. 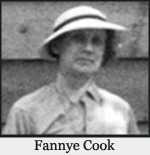 Fannye Cook is one of Mississippi’s pioneer conservationists.Realizing Mississippi was the only state in the union without a game and fish department, she went on a crusade across the state appearing at county fairs and the state fair gathering enough support to convince the legislature to form one.She wrote the state’s first game laws. Ms. Cook was the first director of the Ms. Natural Science Museum.She trained workers all over the state how to collect, catalog, and preserve wildlife specimens.She went on to open 18 more wildlife-related museums as well as authoring books on our state’s wildlife. 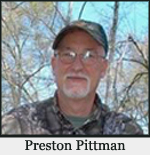 Preston Pittman is one of the most popular outdoorsmen in America. He is a five-time world champion turkey caller. His turkey calling seminars are favorites at outdoor shows all over the country, which makes him one of our state’s best ambassadors. His Preston Pittman Game Calls are sold all over the world. Billy Joe Cross is a former Executive Director of the Mississippi Game and Fish Commission. A past President of The Southeast Executive Wildlife Directors Association. He is a past President of the Mississippi Flyways Council which encompasses 14 states and 3 Canadian provinces as well as former Southeast Director of Ducks Unlimited that covered 17 states. A lifelong hunter and fisherman, Mr. Cross is a nationally known wild game chef, having produced 15 cooking shows for national TV. He also authored 17 wild game cookbooks. 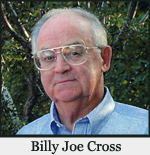 His Billy Joe Cross Wild Game Dinners raised over $1,000,000 for schools, athletic departments and various organizations.